Staff retention is a challenge in the care sector and high staff turnover is also a strong indicator that a service is struggling. It takes time and money to recruit and train staff; that’s usually something that a service operating under-staffed cannot afford. Employers can seek to mitigate the costs of training by using “claw-back” clauses in their contracts of employment, provided that these are properly drafted. These clauses can also operate as a method of encouraging staff retention as expectations are set that the relationship should last for a minimum period of time. Additionally, if non-mandatory training is offered, it creates a feeling that staff are valued and that their personal and professional development is important to their employer. Some employers offer monthly bonuses for good attendance. Having reliable staff attendance doesn’t just relieve logistical headaches for employers, it also fosters good quality work through continuity of care. Employers, particularly in the domiciliary care sector, need to strike a balance between certainty of working hours for staff and ensuring that they are not over-staffed when client needs can be unpredictable. Contracts that offer a minimum number of weekly hours with the possible option of substantial extra hours subject to staff availability and client demand, could enable someone needing to work a certain number of hours or generate a certain income level, to have the certainty they need. What is clear is that things cannot remain as they are because of the costs to the industry and the detrimental effect it’s having on the quality of care. 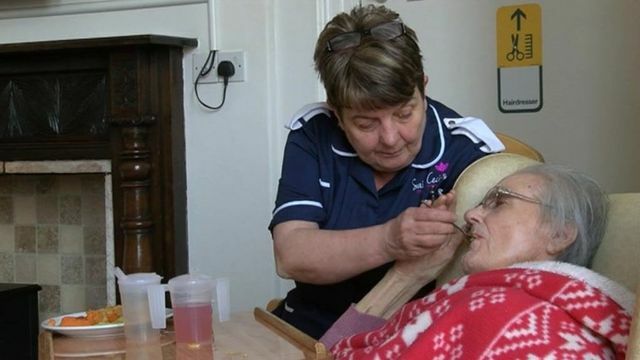 The figures show that social care providers are struggling to retain their staff, with the industry having a staff turnover rate of 27% - nearly twice the average for other professions in the UK.